Tata Destination 150 Noida is a premier residential development featuring luxury apartments which is coming soon to change the landscape of this city. Sector 150 Noida is a well-connected location in entire Noida which is spreading over 600 acres with 80% greenery on its heart. Tata Destination 150 is ready to offer sophisticated and comfortable living spaces in its 2 and 3 BHK apartments with an assortment of outdoor recreational facilities. 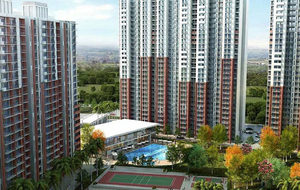 Starting price in tata destination sector-150 Noida is Rs 55 Lac.